Today is Friday, one more day until the weekend is here! We are hosting our very first tour for These Paper Worlds Book Blog Tours with the Blood Dreams Book Tour. 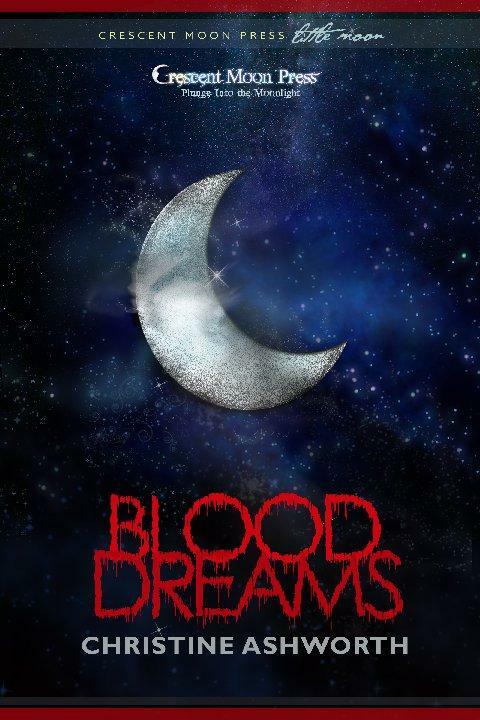 Blood Dreams is a paranormal short story by Christine Ashworth. Our review is below and we are giving away one hardcover copy of her novel, Demon Soul, (courtesy of the author) so enter below using the Rafflecopter form. Blurb: It's December, and Los Angeles is in the grip of a serial killer – or so P.I. Gregor Caine would like to believe. But the moon grows fat as it builds toward the Winter Solstice and a rare eclipse. An old woman searching for a friend gone missing believes danger is coming, and the Blood Dreams that keep interrupting Gregor's sleep portend a swarm of demonic activity. About the author: Christine Ashworth is a native of Southern California. The daughter of a writer and a psych major, she fell asleep to the sound of her father's Royal manual typewriter for years. In a very real way, being a writer is in her blood¾her father, Chet Cunningham, sold his first novel before he turned forty and has over 300 novels to his credit. Christine’s brother, Scott Cunningham, sold his first book before he turned twenty-five. At the tender age of seventeen, Christine fell in love with a man she met while dancing with the California Ballet Company. She married the brilliant actor/dancer/painter/music man, and they now have two tall and exotic sons who are as intelligent as their parents, thus ensuring lively dinner conversation. Christine's two dogs rule the outside, defending her vegetable garden from the squirrels, while a polydactyl rescue cat holds court inside the house. Everything else is in a state of flux. Demon Soul is Book 1 of the Caine Brothers Series and is now available in trade paperback format, as well as in Kindle, Nook, and Kobo formats. Book 2, Demon Hunt, will be available summer 2012 from Crescent Moon Press and in all the above formats. 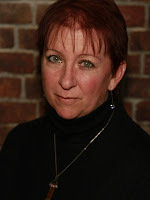 Christine says: My website, Wicked…With a Side of Saucy at is where I talk about wine, and books, and other things that catch my attention. I’d love to see you there. Cheers, and thanks for reading! Our review: I usually find the task of reviewing short stories difficult because of (or lack of) length. Some short stories can stand on their own so those can be commented on, while the main purpose of others is to act as either a buffer, an introduction or continuation of, or to merely showcase one or more characters from a larger work or series. From what I understand, Blood Dreams is an introduction to the Caine Brothers series and I'm assuming they played some sort of role in the author's first novel, Demon Soul. From page one I felt like I was missing information. A vampire, Kendall Serbis, looks at the smoldering remains of a vampire nightclub, Twisted, while thinking of his future plans. People are referred to (Satine, Gabriel and Rose whom I found out later are the principle characters in Demon Soul) and events were mentioned (a fire, murder, and the opening of a 'Chaos Plane') so I was a little lost. But as I continued to read from the section where the Caine brothers, Gregor and Justin, are introduced, I could fill in some things from the author's third person narration about the previous goings on. What I really wanted was more of the setting and the world building to fully grasp the unfolding events better. The Caine brothers have an interesting relationship as siblings though I'm not fully aware of what Justin meant when he referred to himself as a "tri-bred" and he was fighting his bloodline of being half Fae, half demon. The brothers can sense each other's emotions, or at least Justin can when Gregor admits to having bad dreams just like his sibling. These dreams are about demons and I believe part of the role of the Caine Brother's private investigation business is killing vampires and demons. The story piqued my interest when a feisty spirited elderly lady, Cordelia, enters the Caine office and employs their services in locating her homeless friend, old Max. It appears there's a serial killer and homeless men are his preferred victims. This scene shows how easily the brothers get along while giving us a glimpse into their world. The reader also gets to witness Kendall, now stronger from absorbing the energies of the deceased vampires from the fire, in action as he lures a victim to his lair and then opens the Chaos Plane. By the time Maggie, a witch, walks into the Caine brother's office and she too is having bad dreams, the foundation for the upcoming novel in this series has been laid out. Christine Ashworth has created an interesting array of characters and the paranormal within Blood Dreams. Readers may want to grab ahold of Demon Soul first to better understand what happens in this short story. From what I read on these thirty-something pages, the series shows a ton of promise with the highly likable team of Gregor and Justin Caine. Rating: (3.5) I liked what I understood. Favorite excerpt: "The wall of mist that had hung back on the ocean had begun its rush toward land, filling the air around them with a salty gray and somehow unfriendly density. Gregor grew uneasy as he followed the beauty up the stairs. Something’s coming, Gregor. Be ready. There’s a fight ahead of you this night, and I’m not talking about the Fae in front of you. She needs your help. You will need hers. The voice sounded in his head, despite his barriers. No dream this time. After all these years, suddenly his dad is talking to him? No. Aural hallucinations, that was all. Gregor rolled his head on his shoulders, flexed his fingers and kept climbing while inside, his alertness built. A fight, huh? Cover comment: The cover art does nothing for me. I've seen similar covers either using the blood dripping lettering or the crescent moon. Blah. Book source: I received a promotional ebook copy of Blood Dreams in return for my totally honest review during a book tour. Check out the other blogs hosting the tour today for interviews and other exciting news. We are giving away one hardcover copy of Demon Soul (not Blood Dreams, we apologize for the error) provided by the author. Enter the Rafflecopter form below (contest ends on Friday, June 8). This contest is open for residents of the U.S. only. Thanks for having me, Reader Girls!! Unfortunately, there are no hard copies of Blood Dreams , it's an eBook only - but I'll be happy to give away a hard copy of Demon Soul, the first book in the Caine Brothers series. It sounds good, I would def want to start at the beginning so I can get fully involved in the world. I like it when writers have books out and then add little side stories so it keeps a person knowing whats going on and keeps us interested. Thanks! !